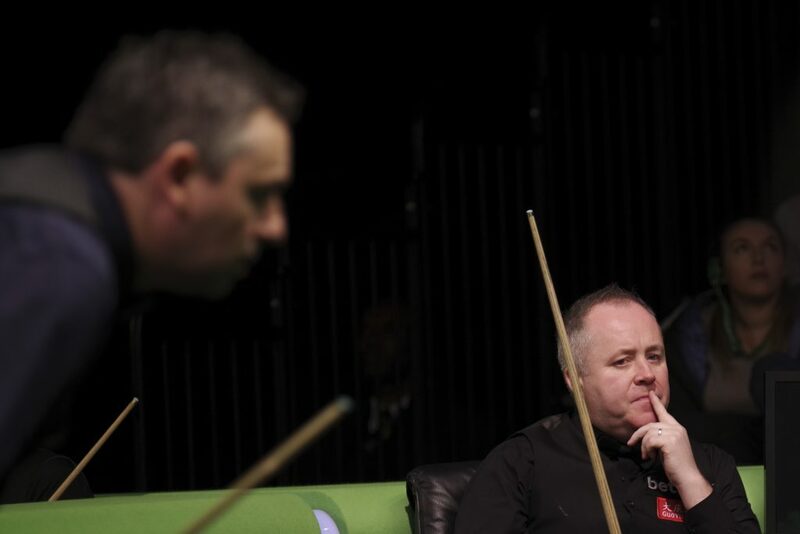 John Higgins insisted that this could be his last season after losing 6-5 to Alan McManus in the last 64 of the Betway UK Championship. 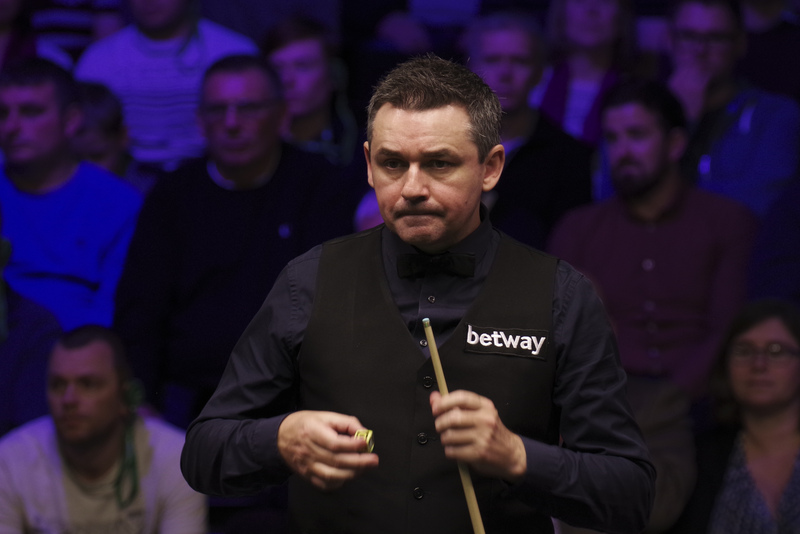 World number four Higgins gave away a 5-3 lead as he became the third member of snooker’s top ten, joining Mark Selby and Shaun Murphy, to drop out of the tournament in York before the third round. And the Wizard of Wishaw did not hold back as he reflected on a match in which he failed to make a break over 50. “I’m just garbage at this game,” said the 43-year-old four-time World Champion. “I could see Neil Robertson on the next table knocking in centuries, and I’m fudging about making 30s. I’ve lost matches before here and been absolutely devastated, but this time I couldn’t care less. After losing the first frame, McManus won three in a row with top breaks of 61 and 62. Higgins hit back to take four frames in a row and looked to have the decisive momentum when he led 5-3, but he failed to take match-winning chances in frames nine and ten. McManus battled back to 5-5 then won the decider with an excellent run of 85. The 47-year-old now meets Tom Ford or Robert Milkins. Asked about his friend Higgins, McManus said: “John knows his own game better than anyone. Is it too simplistic to say all he needs to do is practise harder, or is it the solution upstairs? If you mentally don’t want to play, then it’s a problem, but I don’t think he has any problem physically. Maybe he just needs a good kick up the backside, we all do sometimes. 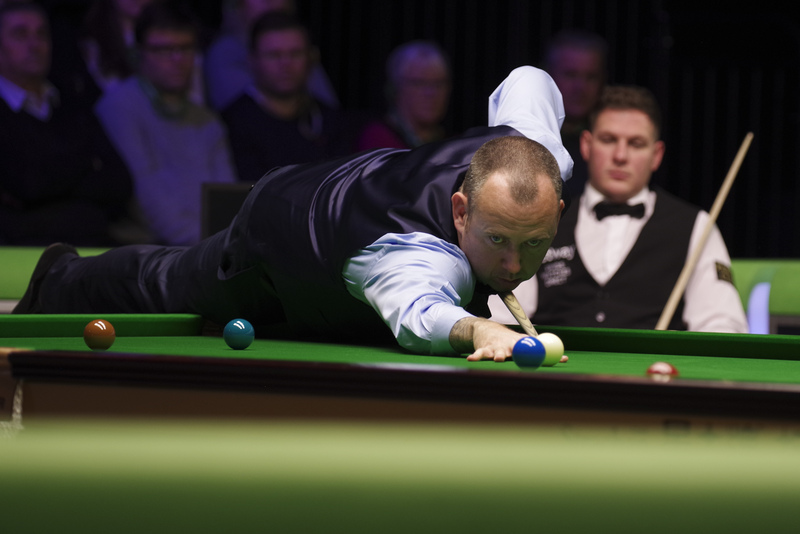 Mark World Champion Williams had a smooth passage into the third round as he beat fellow Welshman Daniel Wells 6-0 with top breaks of 116, 67, 63 and 124 . He now meets Noppon Saengkham or Rod Lawler. Neil Robertson came from 3-0 down to beat Thepchaiya Un-Nooh 6-3 in a tremendous match which featured four centuries and five more breaks over 50. Thailand’s Un-Nooh made 61 and 105 in winning the first three frames before Australia’s Robertson took six in a row with 84, 117, 137, 68, 101 and 78. “There was a packed crowd which really enjoyed the match,” said two-time UK champion Robertson. “It was an awesome atmosphere. Any kind of mistake you make against Thepchaiya, the frame can be all over in three minutes. At 3-0 he missed a red – sometimes he plays a bit too fast, a bit like Tony Drago, when he misses a ball for no reason. If he had knocked that in it could have been 4-0. I made a good clearance and then after that I created opportunities and scored well. Jack Lisowski beat Mei Xiwen 6-1 with top runs of 100, 112 and 72 to boost his position in the Race to the Masters. Gloucestershire’s Lisowski is in line for a Masters debut and stretched his lead over closest challenger Marco Fu, who he could meet in round three. “There’s a lot of pressure on me because the Masters spots are up for grabs,” said Lisowski. “I have won two matches so it’s so far so good. It is on my mind, I expect I will have to win a few more games. If I do play Marco next I’ll have to try to treat it like any other game.